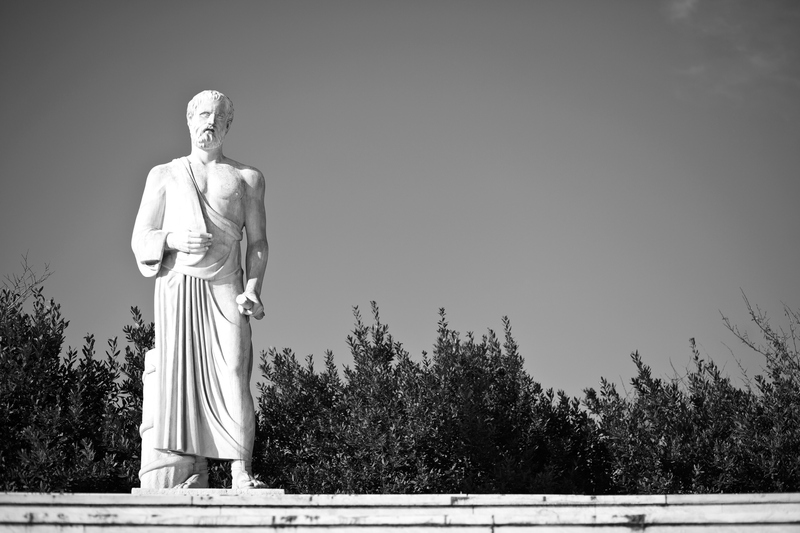 The funeral monument of Hippocrates in Larissa, Greece (iStock). Have you ever wondered why a snake entwined on a staff is a symbol of medicine? Or why doctors take an oath to practice medicine? Or what would be lost if they did not take the oath? T. A. Cavanaugh answers these questions and more in a readable, clear and insightful exploration of medical practice ancient and modern. Hippocrates’ Oath and Asclepius’ Snake: The Birth of the Medical Profession is required reading for anyone interested in the ethics of medicine. To understand the meaning of a text requires an understanding of the original context, in this case the ancient Greek context. So Cavanaugh’s approach is interdisciplinary, drawing upon sources like the Iliad of Homer, the “Clouds” of Aristophanes and the “Protagoras” of Plato to cast light on the ancient oath. T.A. Cavanaugh draws upon sources like the Iliad of Homer, the “Clouds” of Aristophanes and the “Protagoras” of Plato to cast light on the Hippocratic Oath. As Alasdair MacIntyre pointed out, a practice like medicine can be undertaken for the sake of goods external to the practice, such as money, power or fame. But there are also goods internal to practice, and Cavanaugh argues that the good internal to the practice of medicine is the restoration of health. However, the technical skills of the medical art make the physician also capable of wounding individuals or helping others to inflict injury, as the case of the infamous French Dr. Guillotin (explored in the text) makes clear. The Hippocratic Oath is intended to forestall any impingement on the autonomy of physicians to pursue the goods internal to the practice of medicine. The oath expresses a medical ethic that both protects the role of the physician and enhances the trust between doctors and patients. Given the power of a doctor, and temptations to misuse that power for goods external to the practice of medicine, the oath in ancient times guided the medical art to its proper telos. Given that technology has enhanced the powers of doctors beyond what was possible in ancient times, Cavanaugh underscores the contemporary importance of the oath. His Hippocrates’ Oath and Asclepius’ Snake is a splendid contribution both to the history of the medical art and to its proper role today. This article also appeared in print, under the headline "First, do no harm," in the February 18, 2019 issue. Christopher Kaczor is professor of philosophy at Loyola Marymount University in Los Angeles and the author of The Seven Big Myths About the Catholic Church.